Living our dreams means to look always for what we love. We love speed, motor racing, the smell of tires and gasoline, we are passionate by the sound of the engines that provokes our souls to share their strenhgth and determination, we are passionate about each other and we want to give each of us the change do pursue our dreams. With little or no experience in professional driving, armed only with the love for the sport, we have determined a course of five years trajectory to take these "dreamers" and drive us into the cockpits of three Indycar Series race cars that will be aligned in the edition of the famous race Indianapolis 500 in 2016. 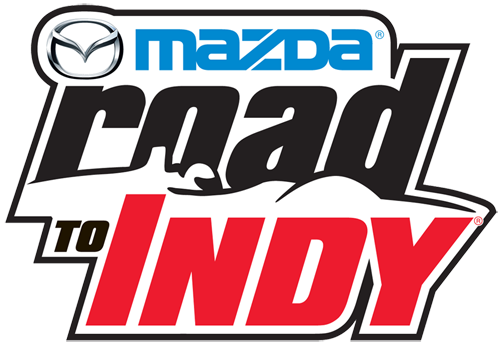 Therefore, we will tread every inch of the Mazda Road to Indy program which will take us to learn, share experiences and compete among the world's most famous drivers in three different categories before reaching our goal, the Indycar Series. Launched in 2010 with the goal of forming professional drivers, the Road to Indy program is the natural path to the evolution and development of those seeking to achieve the maximum level as race drivers and thereby become Indycar Series drivers. The program consists of three series, in ascending order: USF2000, Star Mazda and Indy Lights, which gather together all the characteristics and challenges required to become a Indycar Series driver. 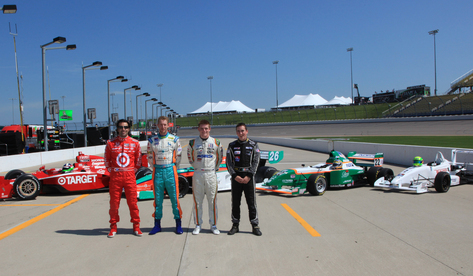 As part of the program, all series participate in the three disciplines of the IndyCar Series: Oval races, permanent Road Courses, and Street Circuits. This program is so important and prestigious that all series races during the weekend of the world's most famous race, and hopefully our destination, the Indianapolis 500 at the Indianapolis Motor Speedway, where all aspiring drivers can interact and feel the atmosphere of this world class event. At the end of each season, the champion driver and team receive assistance to ascend to next rung of the ladder, and Mazda as sponsor of the program also provide scholarships for series champions to help them advance to the next level. Dreams must be pursued, we can not surrender to live the Life given to us, so to live Life fully is the treasure of the Gift of Life. This Gift is even more complete when we became aware of what we seek - what motivates us - and what make us complete. This gives perfect sense to the Art of Living! We are prepared to challenge all sorts of difficulties, many no's, some yes, but above all, we will make our lives as we believe it is worth living, in a family, sharing our passions and emotions. Much more than a project about cars, win races, entertainment or marketing. This is a project to prove that passion, inspiration, dreams, challenges, victories and defeats are part of everyone's life, but nothing is impossible, nothing can limit our ability to learn and dream, nothing can stop us from planning and executing together this path to our dream. To get there we know we can not go through this road alone, we need and want the support of people like us: dreamers, believers, doers who also understands that planning and discipline are our best friends during this journey. We need all kinds of support: financial, technical and knowledge of who has already traced this path. We need sponsors willing to let us prove that we can, and here starts the plan. School series of the program, assists in the development of the main concepts of driving formula cars. The series provides cars with 170hp engines and drivers of different ages. This will the start and our learning point in early years. First professional step of the ladder, cars with 260hp engine and sequential gearbox. This series is the destination of the champions in the USF2000. Ours second step on this road and hopefully our home in 2014. All the driver's knowledge and talent are put to test with these 420hp cars. The car has a high level of similarity with the settings and configurations from the main series. Tony Kannan, Cristiano da Mata and other brazilian drivers have been champions of this category. Home of legends, only the best are capable of driving these 650hps. Emerson Fittipaldi, Mario Andretti, Dario Franchitti are just a few of the greatest in this field. Here is the place that we hope to be in 2016, with three cars lined up on the grid of the Indy 500. USF2000 is the opening series in many of the IndyCar Series events, sharing the same environment and track with the main idols in the international motorsport. Therefore in 2012 we want to perform the larger amount of tests and training possible in order to understand the car, the tracks and style of the category to compete full season in 2013. To support our initiative, we chose the team Accelerace for many reasons. Not only they were the champions of 2010, but they also share the same conviction and goals that our family. To compete on the main category, the IndyCar Series. AcceleRace Motorsport is an accelerated “ total immersion format” multi-series race team focused on providing talented & competitive drivers the tools to sharpen their skills while racing to WIN the USA premier junior Formula Racecar Series. 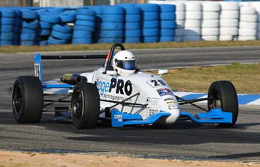 USF2000 is the recognized 1st step on the ladder to upper echelon Pro racing series such as: Star Mazda, World Series FR3.5, GP3, GP2, ALMS, Indycar & F1. 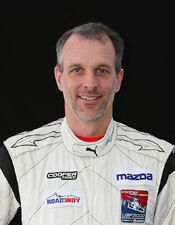 Ardie Greenmayer is the team principal and veteran in this competition. 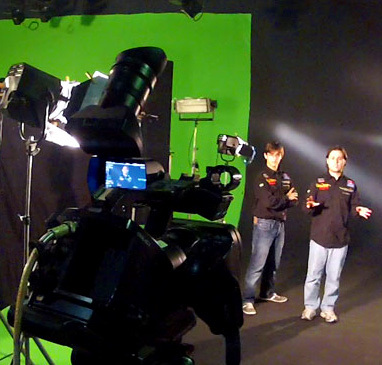 His team rely on professionals who worked for the major categories of motorsport. With Accelerace we are sharing our dream with people who believe in its realization and knows how to get us there. Our real accomplices, will be present in all actions through merchandising contained in our clothes, our transport, cars, staff and, of course, during the content of our show. We clearly believe that sponsorships are provided by companies formed by people who believe as we that the impossible can be accomplished. To tell this story nothing better than a series for interactive Television, with 22 episodes in its first season, showing our day-to-day, father and sons sharing with the public all its joys and frustrations and more than just revealing plans, we will making plans along with our audience. A mix of reality show with adventure, drama and comedy all in order to attempt to show in each episode that the impossible IS possible for everyone. The main sponsor of the TV series is also the sponsor of the Team, getting rights to use our image in their business,including TV and printed advertising, events and situations where the family could be present to help then to reach their business goals. how they will be the basis of our financial support therefore must be aligned with our beliefs, goals and plans, It's possible to include a character elected by the main sponsor inside the TV show and our team. Anyway, they must be part of our team. Participate with us, leave messages, send emails, interact on social networks. We want you to get involved from the beginning and for that we will do our best to leave it up to date of what is happening during the 500 miles of our journey. Every Together on the Road to Indy episode is available for free and in high definition after is premiere on BandSports channel in Brazil. Most of its content is in portuguese (we still have to translate it), but there's a lot in English since that's the language spoke by all our team member on the road. Follow us on Twitter to keep up with our daily work towards the Road to Indy. Visit our page on Facebook to comment about our videos, photos and stories of the road with other dreamers. © 2012 Galassi Racing Family | Developed by @ergalassi, distributed and hosted using Amazon Web Services.